Submit your name and referral information and we will contact you to confirm. Please call your referral and let them know we will be calling them so they will be expecting our call. There is no limit on how many referrals you can submit, the more you send the more rewards you earn. Thank you for choosing CV Roofing. CV Roofing will pay a referral fee for any lead that purchases a residential roof system from CV Roofing subject to these terms and conditions. Referrer must submit lead (including at a minimum lead name and telephone number) either online, by phone (512-629-4435), or by contacting a local CV Roofing consultant. Referrer must include at least his or her name, mailing address and telephone number when submitting the lead information to qualify. Only referrals that result in a completed contracts processed by CV Roofing for a residential roof system installed by CV Roofing will be eligible for a referral fee. 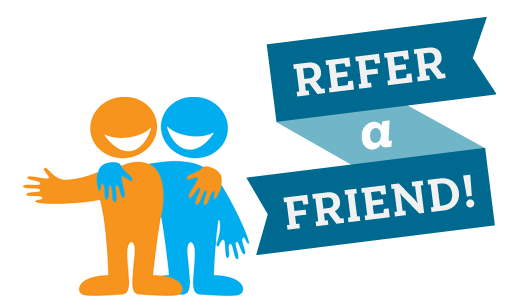 Referrer does not have to be a previous or existing CV Roofing customer to participate in this referral program. The referral fee will not be paid if the lead submitted already exists in CV Roofing contact database. If CV Roofing receives the lead from multiple referrers, the referral fee will be paid only to the referrer who first submits the lead (indicated by the date of entry into the CV Roofing contact database). The referral fee will be paid in the form of a check between 15-30 days after the referred project has been completed and payment received by CV Roofing for work completed. Referrers who are eligible for payments from CV Roofing of more than $500 in a calendar year must complete and submit an IRS Form W-9 to CV Roofing before any payment beyond $500 in such calendar year will be paid. CV Roofing reserves the right to modify or discontinue this referral program at any time without prior notice. This referral program is not retroactive and cannot be combined with any other offer. All rights reserved.